You WILL NOT get the patterns shown in the picture. I mean, you might, but probably not. 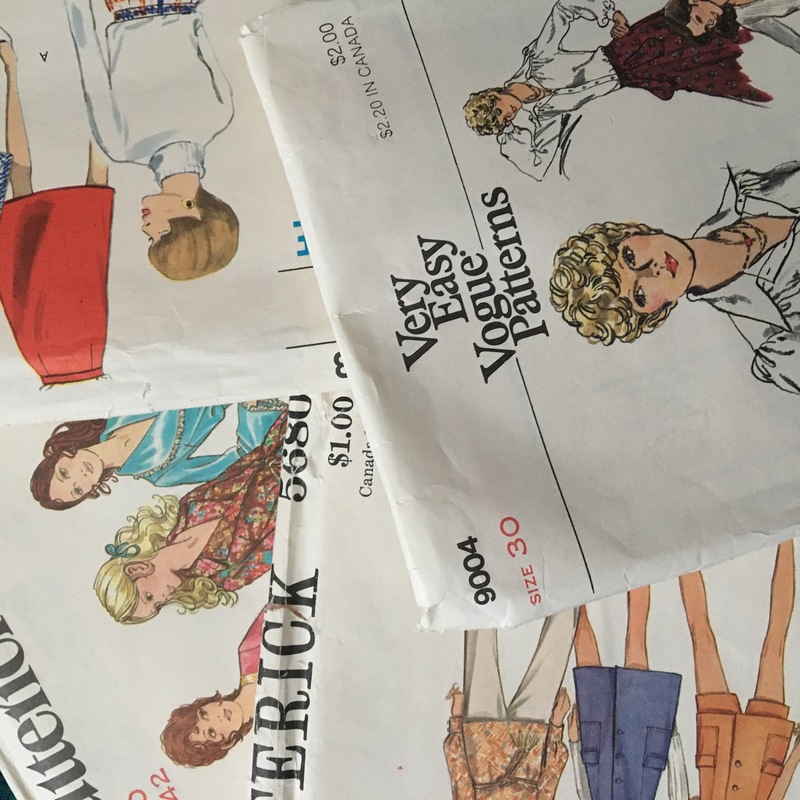 I got a HUGE lot of patterns, mostly 70s with some 50s/60s thrown in, some cut but with all pieces and some un-cut. This listing is for 5 random patterns. Add-On item purchases are available only to current subscribers. These $1-$5 items are either damaged, not true vintage or older back stock. Add-On items must be purchased by the 14th of the month to ship for free in the current month's box. Questions about this item? Contact info@redbirdvintagebox.com.